Yahoo! That is wonderful news! Maggie and I are soooooo happy for Heather Beather. Such a beautiful lassie! Our Norwich had mast cell when she was five. It was removed. She died, old and beloved, at 16 ...11 years later. Go Heather! Oh thank goodness that she's fine. I was so very worried about you and Heather. The scots and I are so very Happy. The dreaded "c" takes way to many of our much loved Scotties. Way to go Heather! Fantastic news - well done Miss Heather. That is wonderful, wonderful news! We are SO very happy! Don't taunt the "C", it has a perverse way of revenge, unfortunately. ArrrooOOooo!!! I am SO happy for Heather! That is the bestest news EVER!!!! Such good news to start the day.....so happy for all of you!! Way to go, Miss Heather! I am overjoyed with happiness for you and your family! Great- so glad you scheduled the dental when you did- luck was with you and Heather!! AROOOOOOOOOOOOOOOOOOOOOOOOOOOOOOOOOOOOOO So Happy We celebrate! Have a Bully Stick! oh my goodness! thank Dog that you had that scheduled when you did and the vet you don't particularly care for was paying close attention! Such good news for Scottie mom and for all the Scottie moms and dads who held our collective breath until we got the good news! Feel better soon Heather! You are a sweetie! Hugs to Mr. K too. God bless you Heather ! 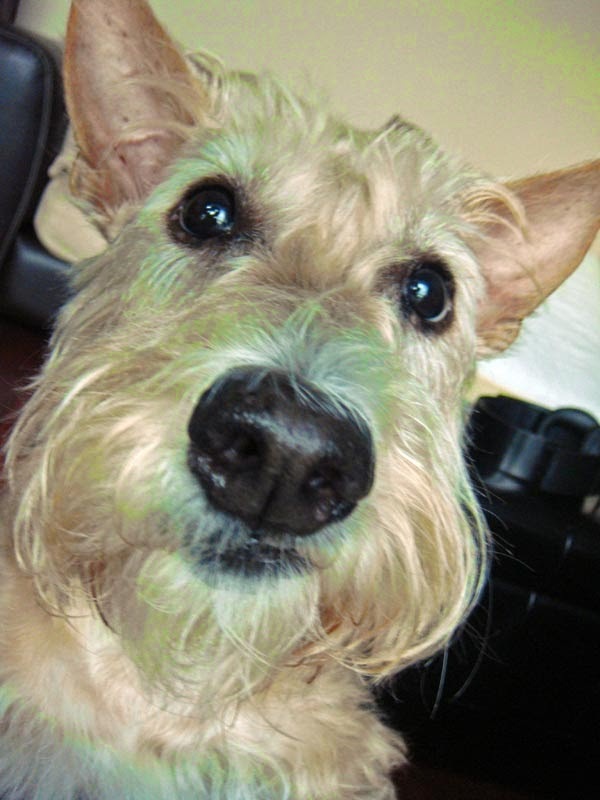 Have you heard of " The Dog Cancer Survival Guide Book " by Dr. Demian Dressler DVM ?